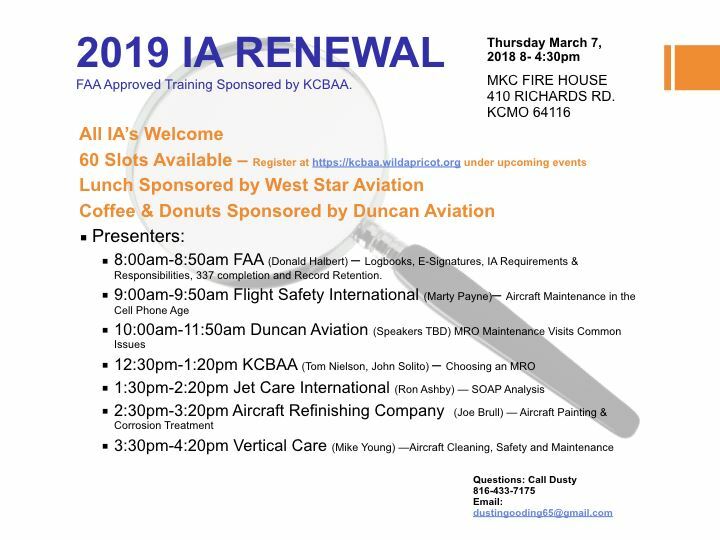 FAA Approved IA renewal training - sponsored by KCBAA. The $35 fee provides one year membership to KCBAA. Fee waived if you are a current member.